Tossing all your old, chemical-laden makeup, skin- and haircare supplies can be incredibly scarring. Some women use the same mascara for decades… the very prospect of switching brands can be like betraying an old friend. But with all the recent popularity of all things green and organic, there has never been a better time to switch to organic and/or natural products. There are great products for problem skin, aging skin, great makeup, even sunscreen! All without harmful chemicals and carcinogenic additives. Want to browse the options? 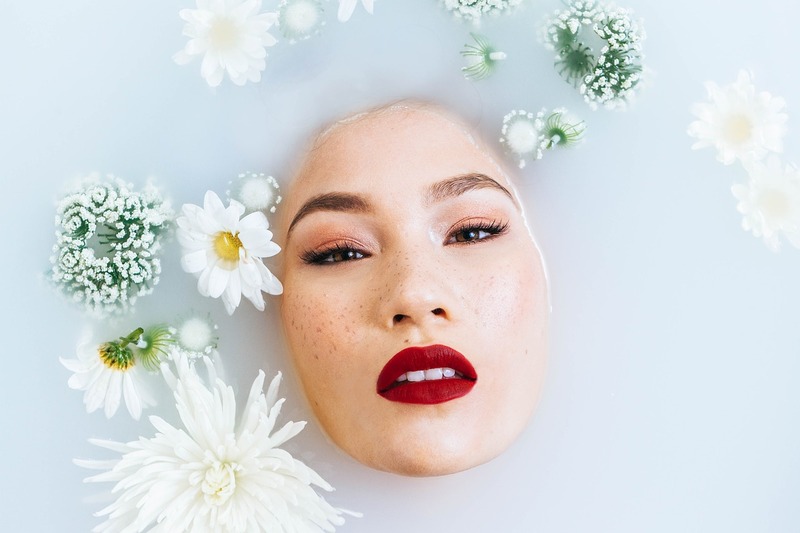 Future Natural is a great site for organic skin- and haircare, featuring great brands such as Juice Beauty, Mod.Skin Labs, John Masters, and Farmaesthetics. Those of us who are incurable Sephora addicts can get a fix with Sephora’s Natural and Organic section, where you can stock up on all the best organic brands, like Boscia, Bare Escentuals, Josie Maran, Pangea, Korres, and Tarte. In selecting your new beauty products, keep the following in mind: “Natural” and “Organic” are not the same thing. Though using products labeled natural is still preferable to the pharmacy-bought, chemical brands, you may still be using products that have dangerous pesticides and repellents in them. Organic ingredients are grown or processed in accordance with strict regulations, without the use of these carcinogenic chemicals. In an ideal world, we would all only put organic products in and on our bodies. However, affordability and availability are issues for some people, but that shouldn’t prevent every one of us from making better choices. Start by eliminating the most dangerous elements (see Step One) and go from there! Or, if you’re ready to dive in 100%, check out The Coming Clean Campaign for a list of USDA certified organic brands. Intelligent Nutrients Haircare is a really great line of products, certified organic by the UK Organic Soil Association. I particularly like the Harmony line, featuring great anti-aging, revitalizing, volumizing shampoos and conditioners chock full of antioxidants. Another good line, though not all organic (despite the name! ), is John Masters Organics. My favorite of their products are the Sea Salt and Lavender Hair Mist and Dry Hair Nourishment and Defrizzer, and both happen to be USDA certified organic! Desert Essence Organics also features mostly certified organic ingredients in a bunch of really great haircare products for all types of hair. 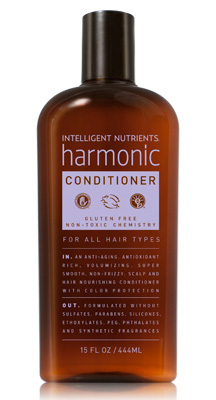 I particularly like the Organic Coconut Oil Shampoo and Conditioner.. perfect for dry hair. Simply Divine Botanicals has an amazing line of natural skincare products, with some certified organic ingredients. My absolute favorite face wash is called Black Velvet, and it is perfect for all skin types, from acne prone to dry and sensitive. Of the 100% organic brands, Miessence is one of my absolute favorites. I particularly like their Purifying skincare line, which is great for problem skin, and uses ingredients such as organic echinacea and thyme. They also have an organic glycolic peel! One of my all-time favorite moisturizers is the Sweet Black Tea and Rice Facial Moisterizer from Juara, a natural, Indonesian skincare company. They use great ingredients like Kombucha, avocado, and rice bran oil that make for radiant, amazing skin. 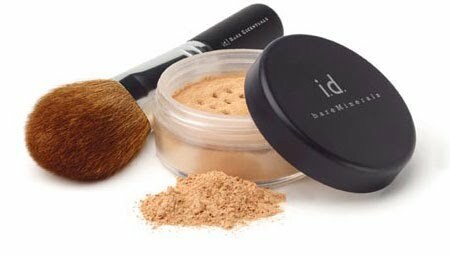 Bare Escentuals makes a great line of pure mineral makeup, that is actually pretty healthy for your skin. I like the mineral foundation (with SPF 15!) and the mineral veil. For slightly heavier coverage, I love Juice Beauty Tinted Moisturizer with SPF. It provides a lovely glow and blended color with tons of nutrients that prevent aging and promote skin health. There are actually quite a few new organic mascaras coming on the market, and it’s about time! The delicate skin around your eyes is a really easy way for harmful chemicals to get into your bloodstream, so its really important to use quality ingredients on those peepers. One of my favorite mascaras is Organic Wear 100% Natural Origin Mascara from Physician’s Formula. Its a really thick formula with a finely bristled brush that gives a super voluminous look, and the ingredients are mostly organic, and almost ALL natural. Miessence also makes a great mascara, and is 87% organic. For eyeshadow, blush, and everything else fabulous, I have a few go-to lines. Bare Escentuals, Korres, and Josie Maran are all good places to start. Tarte also makes some amazing natural (though not organic) products; my faves are the Natural Cheek Stain (so good for more dramatic fall looks) and the Lipsurgence Natural Lip Stain, both formulated with plant-based ingredients that are rich with antioxidants, and both are paraben, SLS, pthalate, and mineral oil free! For 100% certified organic ingredients, my favorite lines are Vapour Organics (try their awesome, antioxidant rich Siren Lipstick), with color derived from natural fruit pigments), and Nvey Organics, whose line of vitamin-infused eyeshadows in 24 different colors are formulated with sensitive skin around the eyes in mind. The products we use on our nails are perhaps the most toxic aspects of our beauty regiments. Almost all commercial nail polish brands have heaping amounts of terrifying chemicals in them (formaldehyde, toluene, DBP) which cause a whole mess of health problems, including (but not limited to!) respiratory problems, reproductive complications, liver and kidney toxicity, headaches, fatigue, and yes, even cancer. There’s a reason why manicurists wear surgical masks! The good news is that we now have options… Priti NYC is my absolute favorite. They have pretty much every color under the sun, have NONE of the carcinogenic toxins listed above, and even have some organic ingredients! They even make a completely non-toxic, soy based nail polish remover, which actually works (believe it or not!). See?? No need to panic about throwing away your trusted Maybelline’s and Neutrogena’s, there are much better, healthier, and even more effective products out there that won’t harm your body! If you have some favorite organic or natural products, feel free to comment and share them! Click here for Step Four to learn how to clean up and detoxify your eating! After getting allergic reaction from a beauty product (I first checked with my dermatologist), I now switched to organic beauty products. I have to agree that organic products are as effective as non-organic, but they are far cheaper. That's true, Florence. But you're paying for quality! Just as with food, it is far cheaper to make products out of toxic, low-quality ingredients than natural, organic ones. When you consider lowered risk of cancer and other health problems, the increase in price is totally worth it!